All Bright Electric has designed and installed all sizes of residential and commercial applications including medical, retail, technology, and restaurants. All Bright Electric is the number one choice for Athens, GA electricians. We provide new construction electrical service installation, and have been in business for over 11 years. We specialize in new commercial and residential installation. 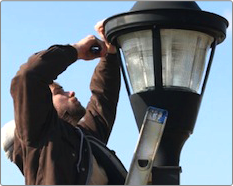 Our electricians are highly trained, trusted, knowledgeable, and courteous. We will provide exemplary service through superior communication, equipment, and we look forward to serving our community and making everything All Bright!